Are you an expert or company seeking to create, sell and teach an online course or group program? Infusionsoft and ruzuku are platforms that can help you build your online course business. In this article we’ll review how these tools work together and how you can best use them as part of your course marketing and teaching. InfusionSoft is an integrated e-mail marketing, CRM (customer relationship management), and e-commerce platform. It’s one of the most popular platforms for selling information products or services online, with many of the world’s top online gurus using it to run their businesses. 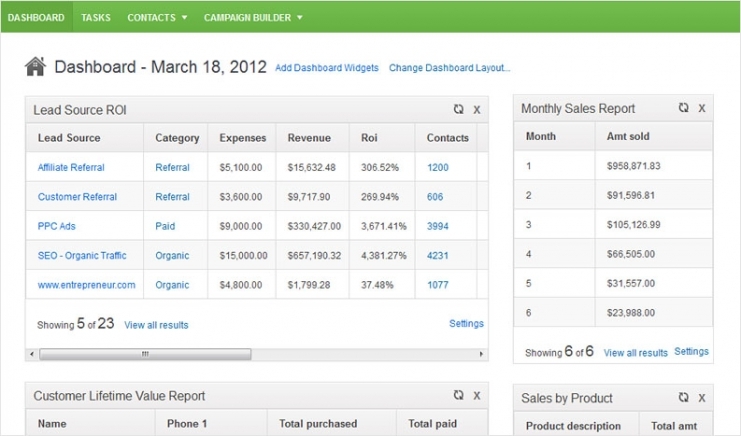 You can learn more about Infusionsoft here: Sales and marketing software for small business. If you’re not already using InfusionSoft, you’ll need to purchase a setup package and subscription to get started. You’ll want to consider carefully if you are ready for InfusionSoft (it’s definitely an investment of both time and money to get started with it). If you are just dipping your toe into the water of online programs, you may be better off starting with something simpler and less expensive. For example, you could use a combination of Mailchimp and LeadPages to build an email list and market your courses. Then you could use Paypal to process payments for your courses. We only recommend this approach if you want to get started small, and you don’t already have (or don’t plan to invest in) Infusionsoft. If you already have InfusionSoft up and running in your business, then you are just about ready to start marketing an online course. There are a couple of mechanics you’ll want to have in place. First, always keep in mind that you’ll be marketing your course primarily to people who subscribe to your email list. So, you need easy ways for people to subscribe to your list. You’ll want people to be able to subscribe from landing pages that offer specific types of content (such as a PDF download or video), as well as from any blog post you publish. For landing pages: Choose a landing page creation tool that integrates directly with InfusionSoft, such as LeadPages or Instapage. You’ll then build a campaign in InfusionSoft to add people to your email list (once they opt-in), and then send them follow-up emails with more information and education. For your blog: Choose an email opt-in tool that integrates directly with InfusionSoft as well. We’ve had good success with Sumo, which makes it easy to display opt-in bars, scroll boxes, or pop-ups on blog content. Once you have the fundamentals of your InfusionSoft setup nailed down, you’re ready to plan and execute your course launch. To have a successful course launch, it’s critical that you first “prime the pump” — build anticipation and excitement for your course. A common mistake is to jump right into “selling” your course to your general email list. While you’ll certainly get a few signups this way, it’ll only be a fraction of the people you can attract with a more thoughtful campaign. 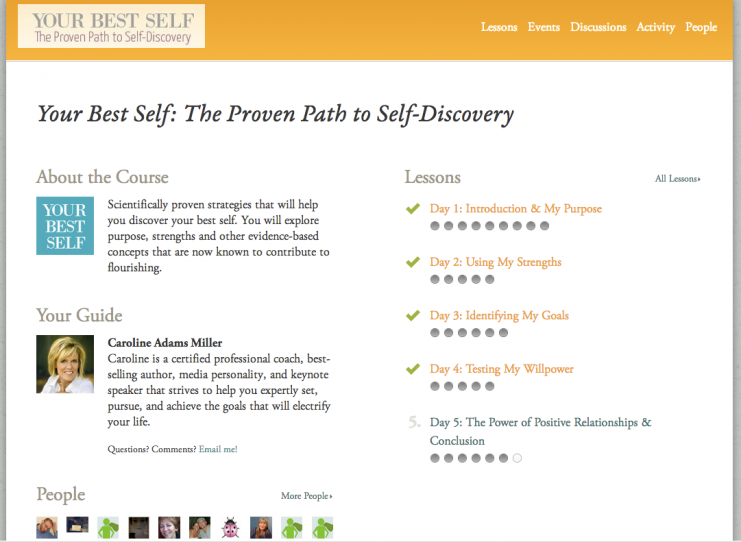 To dig deeper into how you can design an effective course launch, we interviewed Natalie Sisson, a brilliant entrepreneur and teacher (you can find her at suitcaseentrepreneur.com). But she’s achieved far greater signups and revenue by starting her pre-launch process far in advance — sometimes as much as 3 – 5 months ahead of the start of the course. By sharing your content and teaching for free, you provide ways for people to discover your expertise — so they want to learn more from you. The key is to get people interested and invite them to opt in to your “early-bird” email list in InfusionSoft. This email list is devoted to building anticipation for your upcoming course. Make it easy for people to join your “early bird” email list. Publish and share content related to the point of view you’ll teach in your course. Each piece of content should invite people to sign up for the early bird email list. Send regular emails to your early bird list over a period of roughly 1 – 5 months before your course is set to launch. Teach them, inspire them, talk to them, and get everyone on that list anticipating your course.